Following the slight strengthening of the ruble on the stock markets or perhaps on the eve of the March presentation of the full-sized iPad Pro in Russia is considerably cheaper. Unfortunately, not everywhere. 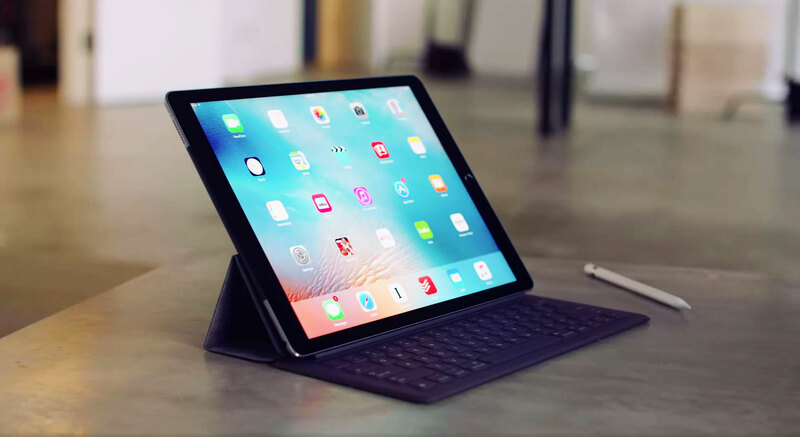 According to the information of the retail network “Svyaznoy”, price professional tablet from Apple without the extra ads fell by 5 000 rubles for the version in the base configuration. The cost of the older models remained at the same level. In addition to the “Coherent” policy “orderly dumping” decided to try and “Hardware”, hit rates for the iPad Pro is not so essential. A 32-Gigabyte “Proshka” clients of online-hypermarket will cost 61 610 rubles that are also quite nice. A confident medium in this case was “Technosila”, which offered 12.9-inch “tablet” with Apple on the rear panel for the price of 60 690 rubles. The most expensive unit sold on the official website of Apple, which responds slowly to market fluctuations and different kinds of rumors – there prices have not changed at all. What, in your opinion, may be due so sharp reduction in price of the iPad Pro in the “Connected”?